The Harlem Hospital Physician Assistant Program was founded in 1970 as a joint project of the Harlem Hospital Center and the Columbia University School of Public Health. The Harlem Program is one of the oldest in the country, being founded only five years after the birth of the profession. The Program was developed to train individuals with health care experience to practice primary care in communities of greatest need. The first class was admitted in 1971, graduating in 1973. In 1972, the Program developed an academic affiliation with Antioch College which continued until the New School for Social Research assumed responsibility from 1974-1978.In 1978 the Program developed a partnership with the Sophie Davis School of Biomedical Education of the City College of New York (CCNY) which continues today as The CUNY School of Medicine Physician Assistant Program. 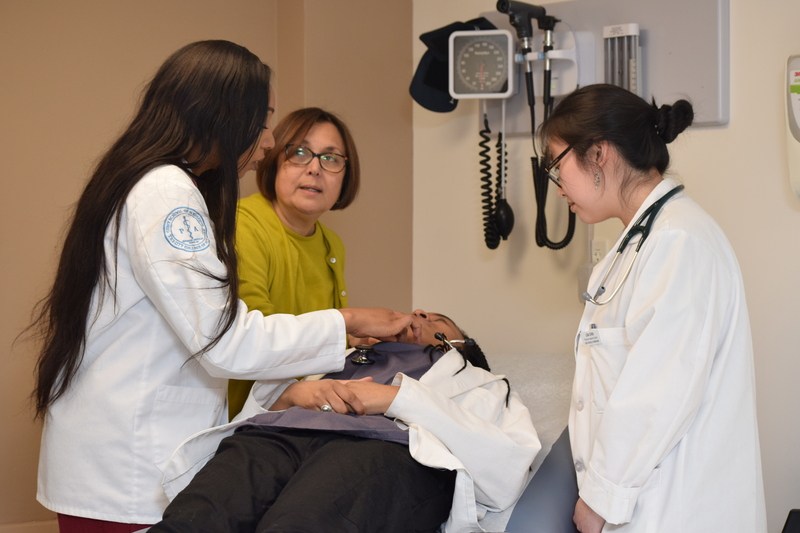 The mission of The CUNY School of Medicine Physician Assistant Program is to improve the health of underserved communities and to eliminate healthcare disparity by providing increased access to physician assistant education to students from traditionally underrepresented populations. Through education and mentoring, we will create a workforce that will provide highly skilled primary health services to the communities of greatest need. We are committed to practice high quality compassionate care, and to develop sensitivity and competence in communication skills with diverse populations. We are committed to providing the skills necessary to apply new knowledge at the point of care and to engage in scholarly activity relevant to health and disease. We inspire graduates to work in health workforce shortage communities and with patient populations out of the mainstream of health care delivery. We encourage graduates to be advocates at the local, regional, and national levels for the best care for patients and their communities and to be activists for social justice. We promote the assumption of leadership positions within the profession and the community. We are committed to creating an environment where collegiality, respect and ethical practice are fostered and valued. We value collaborative learning and working styles that facilitate full participation in interdisciplinary medical teams. We actively encourage intellectual curiosity and critical thinking necessary for life-long learning leading to the continual improvement of patient care.